We’ve been pretty successful with growing basil so far – much better than we’ve ever managed in the past. There was lots ready to pick, so I decided to make some pesto. It’s quick, easy, delicious and can be used in a variety of ways. 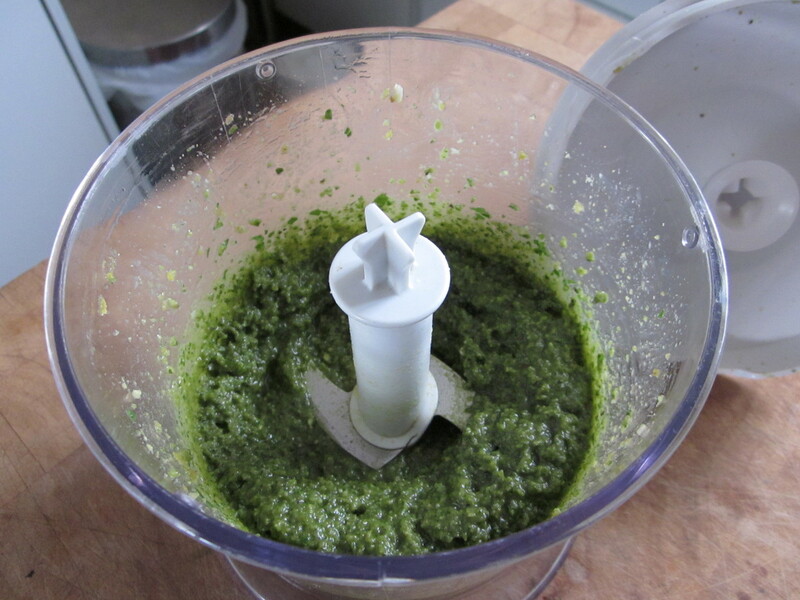 There is no downside to making pesto! I popped all the ingredients into my mini processor and pulsed away until it was nice and smooth. 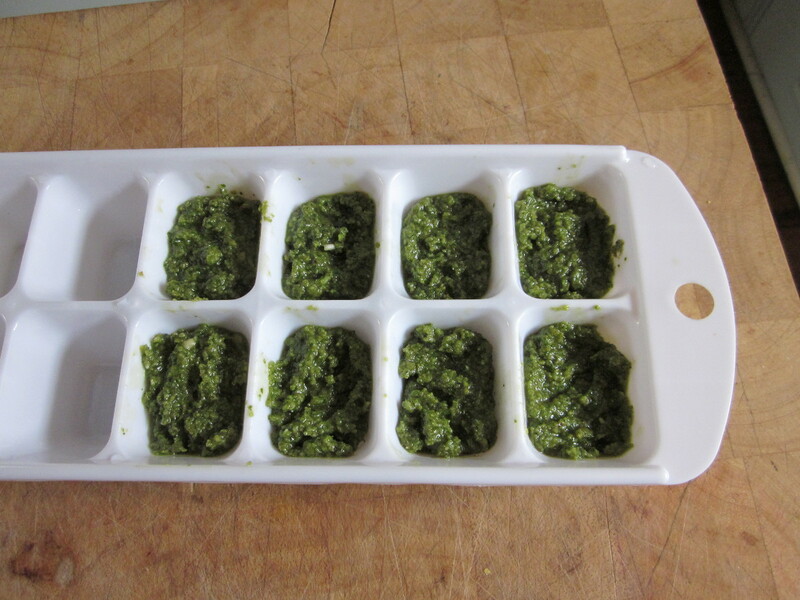 I had no use in mind for it at the time, so I put tablespoons of pesto into an ice-cube tray and froze it. Once frozen I transferred the cubes into a container, ready to use any time.